2008. Hypnos Secret Sounds reissue of an out-of-print early release on Fleury-Steiner's own Gears of Sand label. Drifts is a nice set of electronic ambient tracks combining different repeating loops which overlap at different rates, falling (or drifting?) in and out of sync with one another, creating ever-changing organic ambient textures. Mastered by Robert Rich. "Really nice. Reminds me of what I wish Terry Riley were doing today." 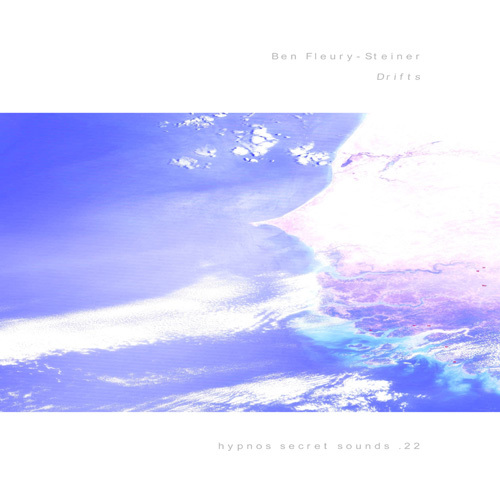 "Ben Fleury-Steiner's release Drifts is a fantastic combination of dreamlike ambience paired with melodic phrases and repeated samples. ... is a disc that captures the imagination and inspires the senses. It's a fantastic synthesis of sounds and styles, and a wonderful example of how differing sounds can be brought together to create something fresh and exciting. A wonderful piece of work! "Though favoring the kind of broad sweeps that only irising analog filters so triumphantly utter, Fleury-Steiner is careful to avoid the kind of artful banality that has stifled the creative impetus of, say, the last decade of Vangelis's output. Not for "ambiance" only, these sumptuous Drifts are too playfully captivating for casual ingestion." "Hypnos has made something of a habit of resurrecting out-of-print releases, with the latest an engrossing hour-long set by Ben Fleury-Steiner previously issued in 2005 on his own Gears of Sand label. Mastered by Robert Rich, the oft-mercurial material evidences a greater-than-normal level of activity and tension than the ambient listener might be accustomed to but there's no shortage of becalmed moments too."